Is there a theory that explains the essence of consciousness? Or is consciousness itself just an illusion? The "last great mystery of science," consciousness was excluded from serious research for most of the last century but is now a rapidly expanding area of study for students of psychology, philosophy, and neuroscience. Recently the topic has also captured growing popular interest. This groundbreaking book is the first volume to bring together all the major theories of consciousness studies--from those rooted in traditional Western philosophy to those coming out of neuroscience, quantum theory, and Eastern philosophy. 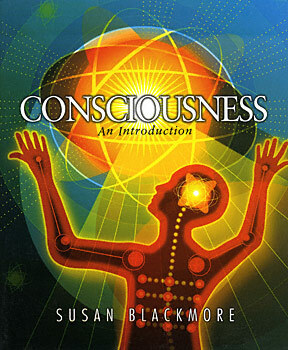 Broadly interdisciplinary, Consciousness: An Introduction is divided into nine sections that examine such topics as how subjective experiences arise from objective brain processes, the basic neuroscience and neuropathology of consciousness, altered states of consciousness, mystical experiences and dreams, and the effects of drugs and meditation. It also discusses the nature of self, the possibility of artificial consciousness in robots, and the question of whether or not animals are conscious. Enhanced by numerous illustrations and profiles of important researchers, the book also includes self-assessment questions, further reading suggestions, and practical exercises that help bring the subject to life. "This is an extraordinary book. Consciousness is a swamp, a hornet's next, a morass of competing theories and rival projects. It takes guts to put together a book like this one that seeks to present a truly general overview of the literature, ranging from philosophy of mind, through discussions in the fast-developing field of cognitive neuroscience, to the hot and fraught issues of the paranormal, lucid dreaming, and altered states of consciousness. Sue Blackmore carries off this ambitious project! There are lots of people who are expert in one, two, or three of the areas she discusses, but almost no one who is deeply conversant, as she appears to be, with all of them." Dr. Susan Blackmore is a full-time writer, lecturer, and broadcaster whose previous books include the controversial The Mem Machine (OUP, 1999). A former Reader in Psychology at the University of the West of England, Bristol, she is also the author of more than sixty scientific articles and forty book contributions.